What Makes Wellfleet Oysters Special? Wellfleet oysters have been considered some of the world’s best for generations. 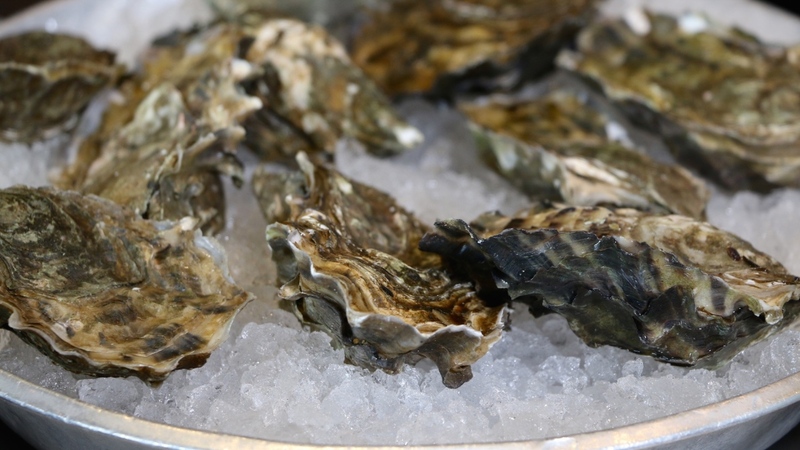 The Wellfleet oyster is an eastern oyster, Crassostrea Virginica by species, the same kind of oyster that grows in Long Island Sound, as far south as the Chesapeake Bay, and up into Canada’s Maritime Provinces in the north. In the beginning of the 1800s, Wellfleet’s native oyster population was nearly depleted. Aquaculture, as we know it today, began as Wellfleetians imported young oysters from points south, flavored and fattened them in local estuaries, then harvested them for sale in the lucrative Boston market. Although people may not agree on which oysters are best, they do agree a real difference exists among oysters grown in different locations. If Blue Points, Chesapeakes, Cotuits, Malpeques, Wellfleets, and other types of oysters along the United States’ eastern shores are all genetically the same, why do oyster connoisseurs from around the world extol the virtues of the Wellfleet oyster? Wellfleet oysters tend to be long and strong-shelled. Experienced tasters know that they are plump and clean with a distinctively good balance of creamy sweetness and brine. But what else makes Wellfleet oysters special? Cold waters – The average temperatures in Wellfleet’s estuaries are colder than those in more southerly waters. Cold water temperatures slow down the oysters’ metabolisms, helping them store compounds called glycogens, a process akin to carbo-loading, that make the oysters sweeter tasting. High salinity – The salinity in Wellfleet Harbor is also relatively high (28 parts per thousand) compared to the more brackish waters of, for example, upper Chesapeake Bay. Experienced tasters find that oysters that grow in saltier waters tend to have a cleaner, sharper flavor. Big, fast-moving tides – Wellfleet waters have significant tides, averaging around 12 feet, and broad, shallow estuaries. This means a high volume of fresh, plankton-rich ocean water washes swiftly through and feeds the oyster beds twice a day. Also, regular exposure to air on the flats help make Wellfleet oysters very hardy, thus able to withstand shipping and stay fresh for the consumer. Environment or Meroir – Oysters are flavored by what they feed on. The unique mix of nutrients and local species of phytoplankton that inhabit Wellfleet are different than those even as nearby as Cotuit, Massachusetts and these variations greatly contribute to the Wellfleets’ distinctive flavor. Clean water – Wellfleet oysters are fortunate to grow in a clean, contaminant-free area. Throughout the years, the estuaries have remained remarkably clean. Wellfleet residents are grateful that pollution and oil spills have not hurt the oyster beds, and work hard to keep it that way.